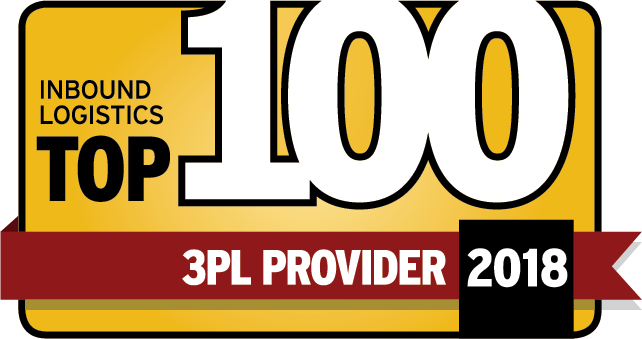 MELVINDALE, Mich. July 18, 2017 — In its 16th consecutive year, Evans Distribution Systems has been selected as a top 100 third-party logistics company by Inbound Logistics, an industry publication that provides articles about warehousing, logistics, supply chain, IT, 3PLs, transportation, and more. Evans was selected from a list of hundreds of other supply chain and logistics companies offering services in warehousing, transportation, and other logistics solutions. In addition to traditional warehousing and supply chain services, Evans Distribution Systems provides value added services, in the form of packaging, kitting, bagging, shrink wrapping, and quality inspection. Over the past several decades, Evans has expanded its capabilities and services in a variety of ways: in the establishment of a new staffing division known as Evans Resource Solutions (ERS), as well as the expansion of 18 operations in nine states. With 30 locations in 10 states across the country, Evans is able to handle a wide variety of customers, and many specific needs. Due to these locations, Evans is able to provide short and long-term solutions to many customers.